Wind, hail and rain did not keep the visitors away from this year’s Harrogate Spring Flower Show which took place from 25th – 28th April. Sancutary Yorkshire won Most Creative 2013 Show Garden and Gold award. PWP Landscape Design with custom joinery by BowCora Design. 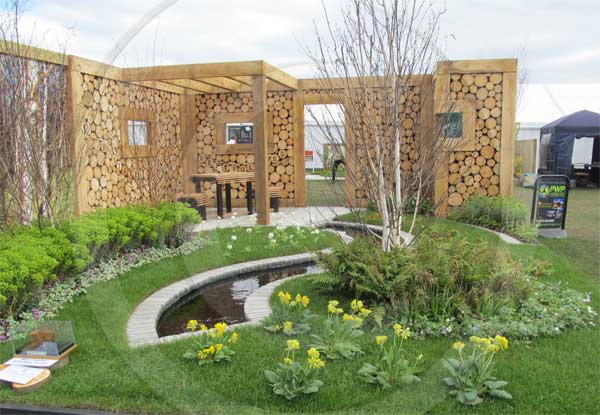 Over 17 show gardens provided inspiration and in some cases proved that practicality needs to be a strong design feature in our northern climate. The weather drove most people indoors with the horticultural marquee shoulder to shoulder in people looking for that special plant or just escaping the cold wind. Indoor catering facilities were struggling to cope and many traders were already taking orders for their display plant “sell off”. 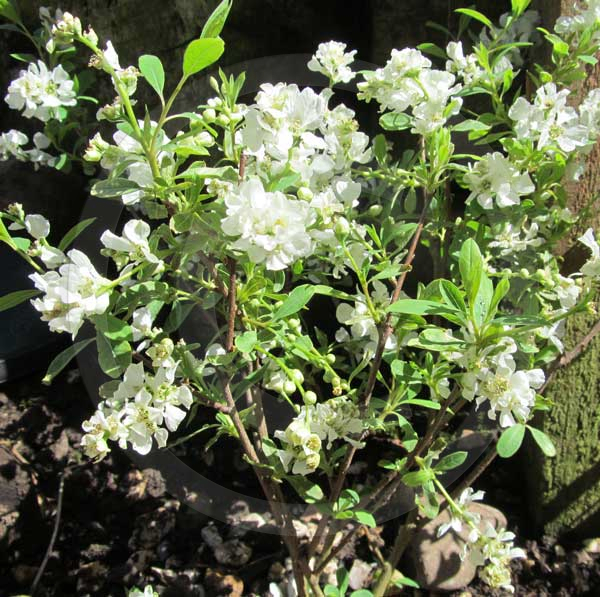 Much like our visit to Gardening Scotland last year, a high percentage of the nursery traders were offering a similar fare of woodland and alpine plants which is perhaps due to the early time of year. In some cases this proved to be a good thing…if a plant was sold out with one vendor, it was almost certain to be available from another. 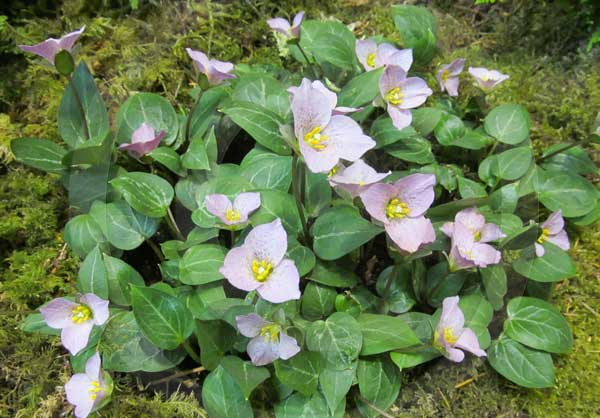 were taking an interest in the trilliums which they had seen featured the preceding Friday’s BBC Gardeners’ World. A couple of the plants which took our eye was Thalictrum thalictroides, a low growing thalictrum with delicate white anemone type blooms in spring and Exochorda Niagra which is a less vigorous version of Exochorda x Macrantha (The Bride Pearl Bush) with the slightest hint of green in the bridal wreath of white flowers, only growing to a height of about 1.2 metres but still bearing gently arching stems of massed white flowers in mid to late spring. One of the exhibitors; R V Roger Ltd, specialised in trained fruit trees and bushes, proving that quite a range of fruit can be grown in a small garden or even in pots. For the flower arranger, there was a myriad of displays in the large floral art marquee which has become the largest display of it’s kind in Britain. Ranks of tour coaches brought people for day or weekend trips and the people we spoke to said they had enjoyed their visit and had managed to purchase a few new plants. However, at least half of the party said that they were unlikely to return again in the near future because of the similarities between exhibitors in the horticultural marquee. We look forward to visiting again in September for the Harrogate Autumn Flower Show which is ranked in the top three UK gardening events by readers of Which? Gardening.